Since SUNY Buffalo State began its Faculty and Staff Appeal in 1988, the campus community has generously given to this annual spring campaign to support students and the institution. 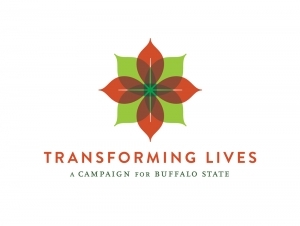 During the 2013 appeal, Buffalo State faculty and staff were particularly generous. More than 500 donors gave a record $192,000 over the campaign’s two-month course, exceeding the campaign’s goal by $4,000. Louis Noce, the annual fund officer who has headed up the appeal for the past four years, attributes its increasing success to a strong base of volunteers who are able to articulate how integral the campaign is to student achievement. He also pointed to the hard work of his predecessor, Claire Collier, and others who oversaw the annual appeal before him. Through the years, the appeal has become woven into the campus culture. One unique aspect of the Buffalo State campaign is that donors can designate where they want their money to go. The size of gifts made by faculty and staff members varies greatly, he said, noting that every gift is important. A contribution of even $5 or $10 per pay period can pay for a semester’s books for a student.